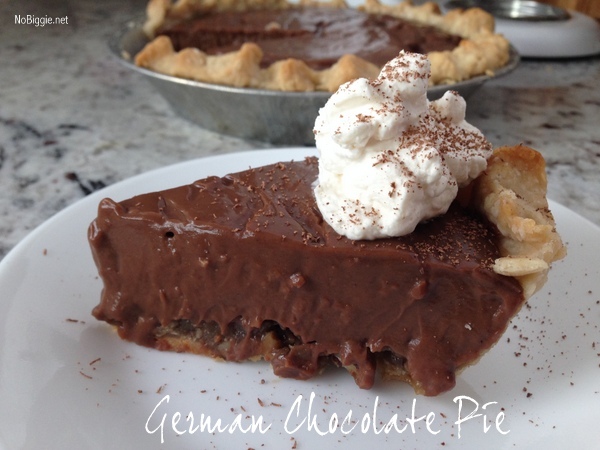 If you love german chocolate cake, then you’ll love this recipe: homemade german chocolate pie. It’s so rich and creamy. Pair it with a big glass of ice cold milk and you have the breakfast of champions! I kid…well sort of. We all know that if there’s pie for dessert, chances are (if there is any left), there will be pie for breakfast too. This post has a mix of the old and new photos…I wanted to leave both up. Which one will you pin…the old or the new? 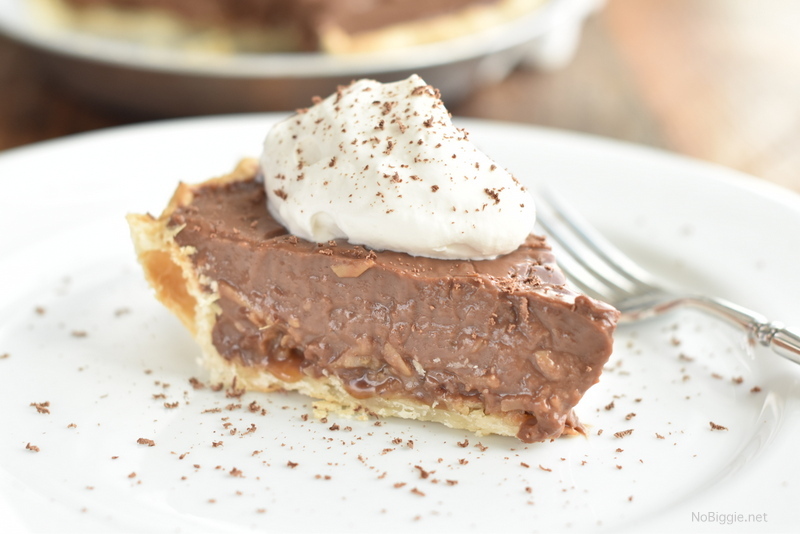 This pie is like chocolate pudding and german chocolate cake happy together. Here’s a bit of the step by step in photos. The full recipe will follow. 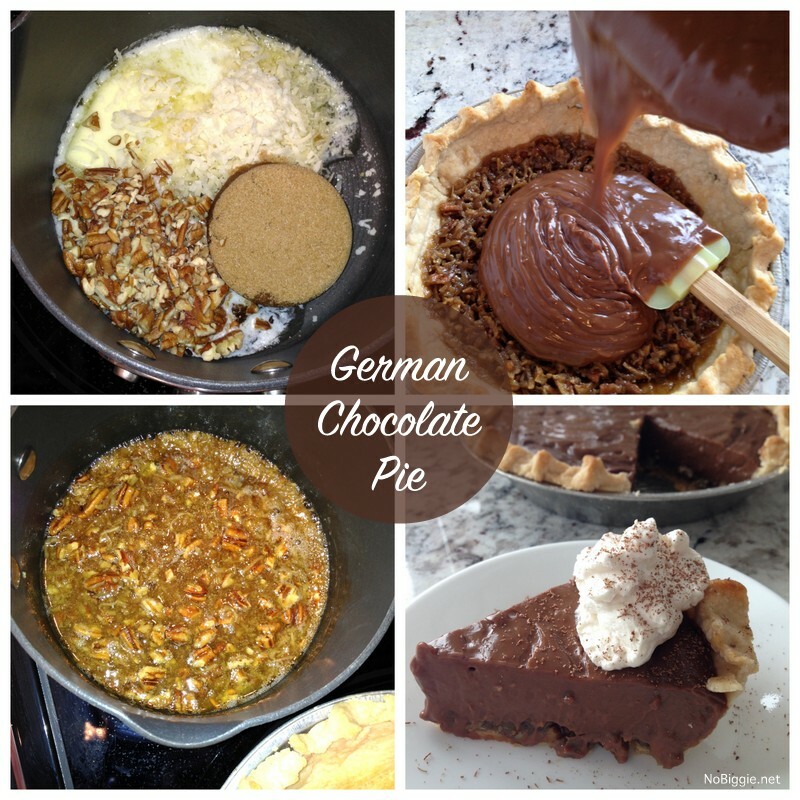 Chocolate pie meets german chocolate cake. 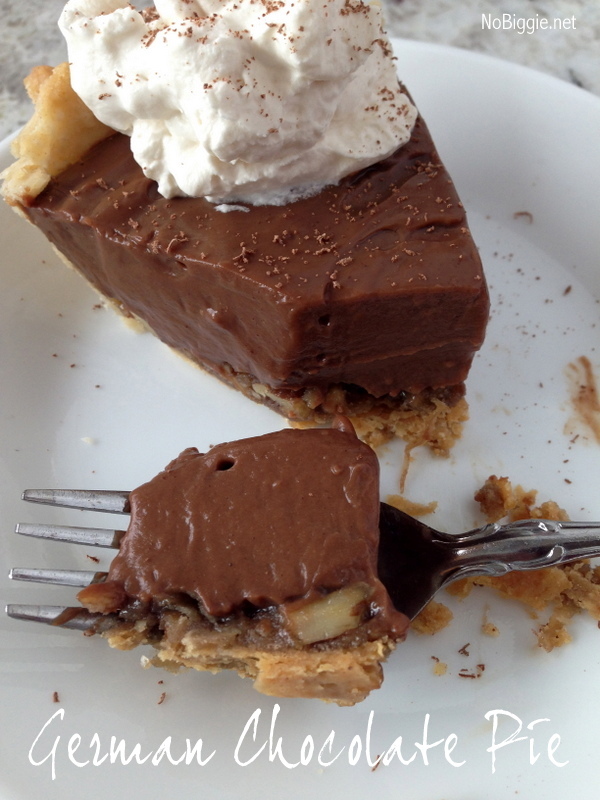 We love this pie! 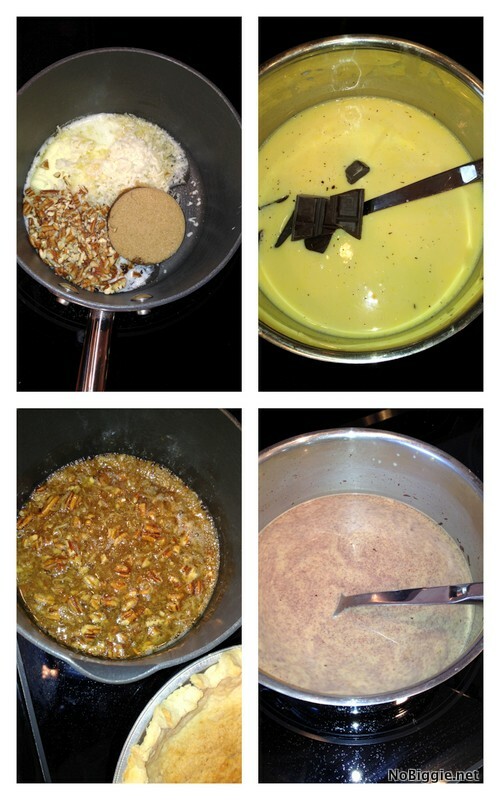 Heat the coconut, pecans, butter and brown sugar until sugar dissolves. Pour this mixture into the already baked pie shell and bake at 450’ for just 5 minutes. Let it cool. 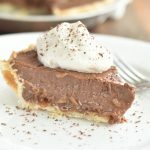 For the chocolate filling, add the vanilla pudding, milk and chocolate bar to a saucepan and cook according to pudding directions for pie. Cool 5 minutes stirring occasionally, until the chocolate is well combined with the pudding mix and milk. 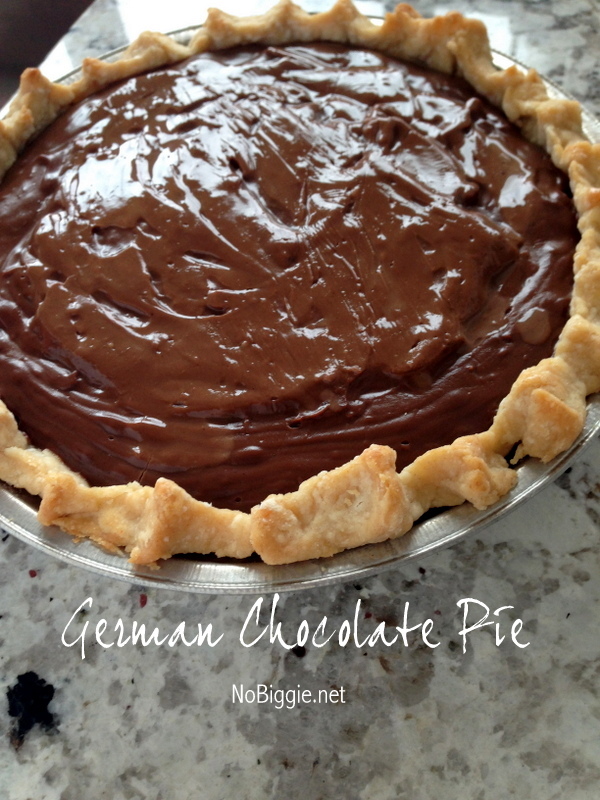 Pour the chocolate pudding into the pie shell. Chill the pie in the fridge for 4 hours or overnight. 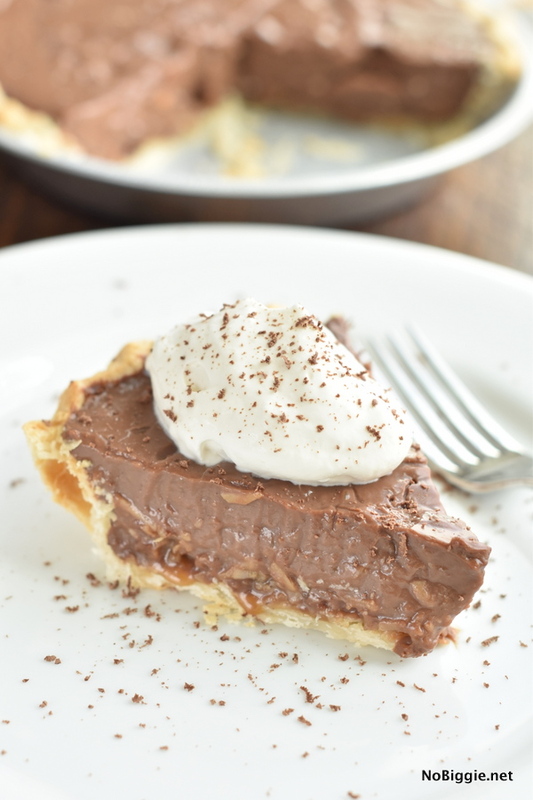 When ready to serve, top with fresh whipped cream and chocolate shavings. 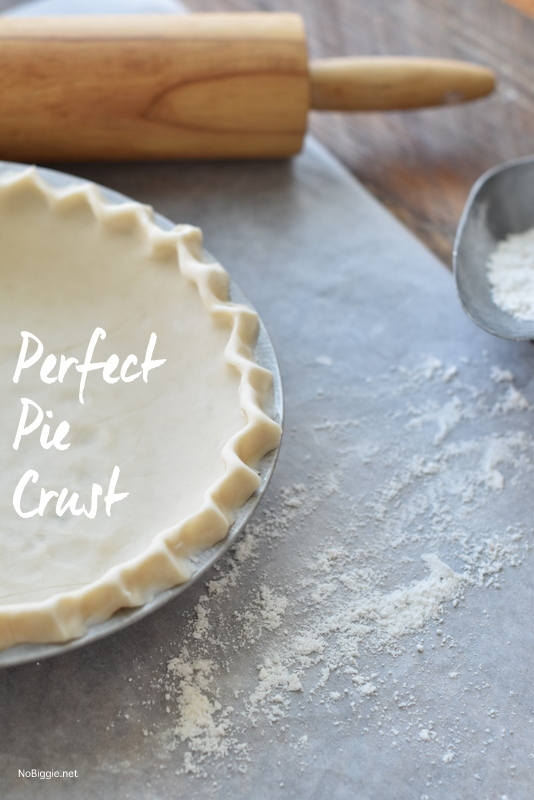 If you’re in need of a good pie crust recipe…this is it! That’s it! I hope you love it as much as we do!